And the greatest unity with God on the spiritual plane, the plane of will. I give thanks that this is done. Beloved, we have come here before you at this time to explain why it is that the war in the dreamtime must be won by love, before the wars in the outer world can be put to rest. It was spoken of in your time by the Master Jesus that thanks must be given for all things , for that is the will of the God concerning you. [Eph.5:20] And yet we have seen wars on your world for millennia, fought by good people against others in the name of righteousness and religious belief. Time after time after time, fathers have cast out daughters, brother has turned against brother, in the name of God. This God, who is the true Creator of all worlds, would have you live in Peace. This God, who is the sustainer of all life, would have you wage compassion and love in His name, not war. For this God, for whom you so readily sacrifice all, would have you give thanks for ALL things, instead of judging any and creating separation and strife. Love it is that is the greatest Power. Love it is that contains within it the essence of Wisdom and Truth. For so long upon your world your teachers have created fear and loathing for many of God’s children and creatures. All children and creatures are created in Love and are maintained in love. The Rebellious Angels were cast out of heaven for disobeying God’s WILL and His command that they obey His Son. This event was a part of a larger plan in the being of God. This plan resulted in the free will of Earth, a place of high learning in real time, where man and woman could come to understand the practical effects of the powers inherent in creation. This is the place where man and woman could finally, over many lifetimes, realize the seriousness and vast potential of their sonship and daughtership with the Most High. This is where they would finally learn that the matrix of all creation is woven out of Love. We bring this up at this time because it is of the utmost importance that you come to understand that fear and resistance WILL NEVER CREATE ANYTHING OTHER THAN MORE FEAR AND RESISTANCE. Like produces like. A seed produces after it’s own kind. If it is LOVE that you seek, then it is LOVE that you must sow. Unconditional love, love for ALL things, is what will finally conquer and still the forces of war , anger, hate, suffering, and all the other qualities of evil. This love applies for everything in the inner worlds as well as the outer. Love yourself in all of your weaknesses as well as your strengths. Love everything that exists. For love forgives and redeems all that it touches. Evil is the word in your language that symbolizes the state of NO LOVE. Evil is the word that represents the fruits of fear and resistance. Evil is based on the belief of separation, which is opposite to the truth of the UNDERSTANDING OF THE ONENESS OF ALL LIFE. Anyone who has seen war knows that war is evil. Fighting is an act of war. Whether you fight yourself or another, it can only lead to suffering. Fear and the fight against the fallen angels has led to their predominance of power on the planet. It is fear and resistance to them and their works that has given them so much power. Ask yourself this question: "Do I place my faith in the Power of Love and Oneness or do I place my faith in fighting and war?" It is a seeming paradox. How can you love that which is unlovable? Without this understanding of the Oneness of All Life on all planes, you are bound to see the separation of all life on all planes. We say unto you now, that unless you SEE BEHIND THE ILLUSION, the illusion OF SEPARATION, and see the face of the ONE BEING in all of creation, the unified field, behind ALL faces, you shall never be free. When you see the separation, you are already lost. No amount of war and suffering on your part, or on the part of your sons and daughters will bring about a reconciliation of the forces of good and evil, for evil IS THE BELIEF IN SEPARATION. THIS IS THE BIG LIE UPON WHICH ALL EVIL IS BASED. We are not separate. We are ONE in God. As Christ said, "What you do unto the least of these, you do unto me." When a soul has finally reached the place of experiencing through grace the ONENESS of ALL LIFE, then even the fallen angels will bend their knees and bow in submission. For they also are a part of the one being, and if even one human being confronts them with this truth, that human being will overcome. The fallen angels’ eons of lying THE ANCIENT LIE that we are all separate crumbles in a second in the face of Universal Love. We urge you to follow in the footsteps of those who have taught you the power and wisdom of love. It is this understanding of THE ONE GOD that separates those who seek and those who have attained. For the seekers have found not. They desire the fruits of peace and the oneness of all being, and yet they are caught in the the illusion of separation. This is why the true seekers of the world have been willing for so long to fight for their beliefs. The belief that the fruit of fighting would bring peace is similar to believing that the fruit of a mustard seed would bring wheat. Like produces like. Fighting will never bring lasting peace. Here is where the ‘peace that passeth understanding’ comes into play. When the consciousness is seated in the reality of ONENESS, all the appearances of separation become transparent and the face of the DIVINE is seen everywhere. This is a great mystery, it is the peace that passeth understanding. When Man and Woman Divine refuse to accept the illusion of separation as truth, but instead sees the reality of ONENESS, then no resistance or judgement ensues. Only thanksgiving and LOVE is experienced. It is this love that conquers. It is this love that heals. Miracles ride the winds of this love. It is this love that finally redeems the years and years of strife and turmoil that has ensnared the earth for so many millennia. When man and woman confront the fallen angels with the sword of love, the sword of the truth that WE ARE ALL ONE, then evil is vanquished and peace can finally return to earth. This must first be accomplished within the inner worlds of the consciousness, the dreamtime, and automatically it will reflect in the outer worlds of form. We understand that this teaching is a giant leap in consciousness from what your teachers have modeled for you for so long. It is time to end the war. It is time to be at peace. It is time for the LIE of separation to be uncovered and replaced with the understanding of the ONENESS of ALL LIFE. It is time for LOVE to reign in triumph over fear. In peace we walk with you. In peace we are one with you. In peace we are LOVE together. “The first angel messages came through in 1994 just prior to the Jupiter impact of 23 comets. I was awakened each night from a deep sleep and the words just flowed out onto the paper. Often I was so sleepy that I thought perhaps I had dreamed the whole thing, but in the morning I would find the paper with the message on it. I do remember the most beautiful feeling of protection and guidance while I was writing. Cynthia Rose Young Schlosser is a spiritual sensitive. Born in 1949 in Atlanta, Georgia, she prayed to angels and played with little people as a small child. She has been painting through guidance since she was three, and began to sell the angel music that she is guided to play in 1992. She has the first mechanical patent on a fashion garment in 85 years, the angels guided her to make a garment that is multi-dimensional. She lives with her husband, seven dogs, and a cat in a home which is also a music studio, art gallery, and a gallery of paradigm shifts to demonstrate ways of living in the Ancient Future. Cynthia and her husband, Michael, are writing a book and giving workshops on Emotional Healing. These messages form a course curriculum for learning the Cosmic Language. Cynthia has been a third degree Reiki Master since the mid-eighties and is an ordained minister in the Church of Universal Brotherhood. Her teachers include Harley Swiftdeer Reagan, Cujena Machek, Rev. Joseph Martinez, Pir Valayat Inayat Khan, John Lapp, Frank Sullivan, Juan Mattatal, Leroy Zimski, Bill Torvund, and others. Other than this, she is mostly self-taught and does not hold any degrees , she had to drop out of school as quickly as possible because she is too right brain for conventional educational paradigms. She has been an adventurer in paradigm shifts all of her life. She was an original founder of the Lighthouse family in the late sixties, the Wynn Lake Community in North Georgia in the seventies, and has been happily married to Michael, a leading paradigm shifter in the field of psychology since the early eighties. They are living in their music and art studio on the third highest elevation in Atlanta overlooking the headwaters of South River. Email Cynthia Rose to subscribe to her daily angelic messages: spiritus at mindspring.com. WASHINGTON (AP) — A group of global banks will pay more than $5 billion in penalties and plead guilty to rigging the world's currency market, the first time in more than two decades that major players in the financial industry have admitted to criminal wrongdoing. JPMorgan Chase, Citigroup, Barclays and The Royal Bank of Scotland conspired with one another to fix rates on U.S. dollars and euros traded in the huge global market for currencies, according to a resolution announced Wednesday between the banks and the Department of Justice. A group of currency traders, who called themselves "The Cartel," allegedly shared customer orders through chat rooms and used that information to profit at the expense of their clients. The four banks will pay a combined $2.5 billion in criminal penalties to the DOJ for criminal manipulation of currency rates between December 2007 and January 2013, according to the agreement. The Federal Reserve is slapping them with an additional $1.6 billion in fines, as the banks' chief regulator. Finally, British bank Barclays is paying an additional $1.3 billion to British and U.S. regulators for its role in the scheme. Another bank, Switzerland's UBS, has agreed to plead guilty to manipulating key interest rates and will pay a separate criminal penalty of $203 million. Big banks overall have already been fined billions of dollars for their role in the housing bubble and subsequent financial crisis. But even so, the latest penalties are big. Including a separate agreement with the Federal Reserve announced Wednesday and another announced last year, the group of banks will pay nearly $9 billion in fines for manipulating the $5.3 trillion global currency market. Unlike the stock and bond markets, currencies trade nearly 24 hours a day, seven days a week. The market pauses two times a day, a moment known as "the fix." Traders in the cartel allegedly shared client orders with rivals ahead of the "fix", pumping up currency rates to make profits. Global companies, who do business in multiple currencies, rely on their banks to give them the closest thing to an official exchange rate each day. The banks are supposed to be looking out for them instead of conspiring to get even bigger profits by using customers' orders against them. Travelers who regularly exchange currencies also need to get a fair price for their euros or dollars. It is rare to see a bank plead guilty to wrongdoing. Even in the aftermath of the financial crisis, most financial companies reached "non-prosecution agreements" or "deferred prosecution agreements" with regulators, agreeing to pay billions in fines but not admitting any guilt. If any guilt were found, it was usually one of the bank's subsidiaries or divisions — not the bank holding company. One of the most notable banks to plead guilty to any criminal wrongdoing was investment bank Drexel Burnham Lambert, which plead guilty to fraud in the 1980s following the implosion of the junk bond bubble. The number of traders who participated in the criminal activity was small. JPMorgan, in a statement, said the one trader involved has been fired. Citi said it fired nine employees involved. Benjamin Fulford Report for May 18 2015: Khazarian Mafia wants to donate funds to Humanity in Exchange for Amnesty. In any case, propaganda aside, severe cabal infighting is yet another signs it is not business as usual. A cabal insider told this writer the Lehman shock of 2008 was really a fight between David Rockefeller and his nephew J. Rockefeller. David Rockefeller is really the most junior member of the third generation of the Rockefeller family, says this source, who has had top level access to every Japanese Prime Minister since the 1970’s. He says the original will of John Rockefeller the 1st, the stipulated his dynasty was to be controlled via primogeniture. However, David was trying to change that by handing over control to his own sons. In other words John “J” Rockefeller the fourth was due to take over the family foundations and David was trying to prevent this, according to this source. For that reason, two of David’s flagship companies, Lehman Brothers and Citibank, were bankrupted by J. Rockefeller’s Goldman Sachs, he says. In fact, feeding these people to the vultures is probably a more likely outcome than either amnesty or stringing them from lampposts. Large law firms are getting ready for a feeding frenzy in retribution against US branch of the Federal Reserve Board crime syndicate. Here are two suggestions for big law firms to pursue. The first is to go after General Electric and Westinghouse for their role in the March 11th tsunami and nuclear terror attack against Japan. GE and Westinghouse sold their nuclear power divisions respectively to Japan’s Hitachi and Toshiba in the years before the 311 attacks. Since all Japanese nuclear reactors were shut down after 311 and the nuclear power plant business worldwide was badly hit, if I were Hitachi and Toshiba, I would hire the world’s best lawyers to see if this was not a big insider deal to dump these businesses before the sabotage took place. The other place clever and ambitious lawyers should be looking at is DuPont and the entire ozone layer scam. According to sources at Japanese refrigerator and air-conditioner manufacturers, DuPonts’ patent on the Freon gas used for refrigeration around the world were about to expire, threatening a huge business. The story about Freon destroying the ozone layer was created so that DuPont could get Freon banned just in time for the patent expiration. Conveniently, DuPont has a fresh patent on HFC, the replacement for Freon. It is worth nothing that all the scare-mongering headlines about the ozone layer being destroyed vanished as soon as the HFC business got started. Somebody can hit up DuPont big time over this. This sort of revelation is going to come out for many other businesses and governments now that the Khazarian mafia faces worldwide defeat. Sources at the Asian Development Bank say the right to produce US dollars has already been taken away from this family mafia. The international US dollar is now controlled by a combination of the Chinese government, Asian royal families and European royal families. The US dollars issued inside the United States are now issued by the Treasury Department, he says. Clearly though, as long as the Khazarian owned media corporations inside the US continue to spew headlines about Jeb Bush and Hillary Clinton as if these two widely disliked characters are the only real choice for US president in 2016, then the battle is not over. When we see them being dragged away in handcuffs on charges of mass murder, then we will know it is over. In these circumstances the military industrial complex needs to start taking urgent action to prevent a total Western rout. The key is to push for a meritocratic world federation as an alternative to trading Khazarian hegemony for Chinese hegemony. In military terms, the first thing they need to do is to twist arms in Egypt, Turkey, Saudi Arabia etc. to put an end to the Khazarian provoked infighting in the region. This might mean some pinpoint military operations to remove key Khazarian agents provocateurs. Last week there were indications this is exactly what has been going on with the US raids against ISIS in Syria and the capture of detailed information about their financing. The US needs to then coordinate with Russia and China to oversee the creation of a moderate Sunni/Shia federation to unify the Middle East. The other thing they need to do is to remove that last of the Khazarian control grid in Japan. People close to slave Prime Minister Shinzo Abe approached the White Dragon Society last week with just such a plan. Remove Michael Green, Abraham Cooper and Richard Armitage and go through Gerald Courtis if you want to keep Japan friendly to the military industrial complex. The three legged crow, the Yakuza and other Japanese power groups will then cooperate with the restored United States Republic. Here!! ( History Making Drawings ), You better Believe it!!! ALL Things Are Possible!!! Blessings of Love Peace & Joy turning to Bliss!! to You. For Up Close look at both of these; Rt click on Drawing and copy link in another window. ENJOY!!! JUST Recorded!! Astounding Healing for YOU!! 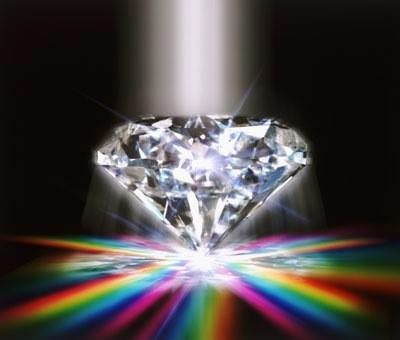 Diamonds Forever 31 Show: Live bringing in OUR Star Brothers and Sisters LIVE, & Engaging in Relations Before that Forever Forward News with Daniel. See YOU Diamonds!!! there. These Are a KNOCK OUT!!! A Rarity!!!!!!! extended Diamonds call is every , Monday 7:30pm Central.